Upon awaking early Canada Day morning, I grabbed my phone in bed and checked to see the latest news on Facebook. A free kayaking ride picture posted by The Paddle Station caught my eye. For those who don’t know me well, I love nothing more than a good deal, and free is the best deal of all! I commented on the post, and low and behold an hour later Daniel and I were heading to Shouldice Park for a kayaking adventure. Now, the worst part about floating down the Bow is the car situation. Whose car do we leave where? Where will our ride end? The list of organizational questions is vast. Due to our limited time before our ride was beginning, we had to make a decision fast. The Paddle Station’s starting location is at Shouldice Park, and excitingly much to our surprise is in a Car2Go zone! Problem #1 solved! When we arrived, we were greeted by the enthusiastically friendly owner, Ravi. Meeting business owners can be an interesting experience, to say the least, but Ravi is made for the job. He’s so humble and passionate about his business that it’s refreshing to be around. His team was setting up their station for the day, and went above and beyond our expectations. We were given an adorable waterproof blue tooth speaker, and a much needed (which we found out later!) dry bag. Because our ride was free, we were asked to wear Paddle Station flags as we floated, which we happily did. 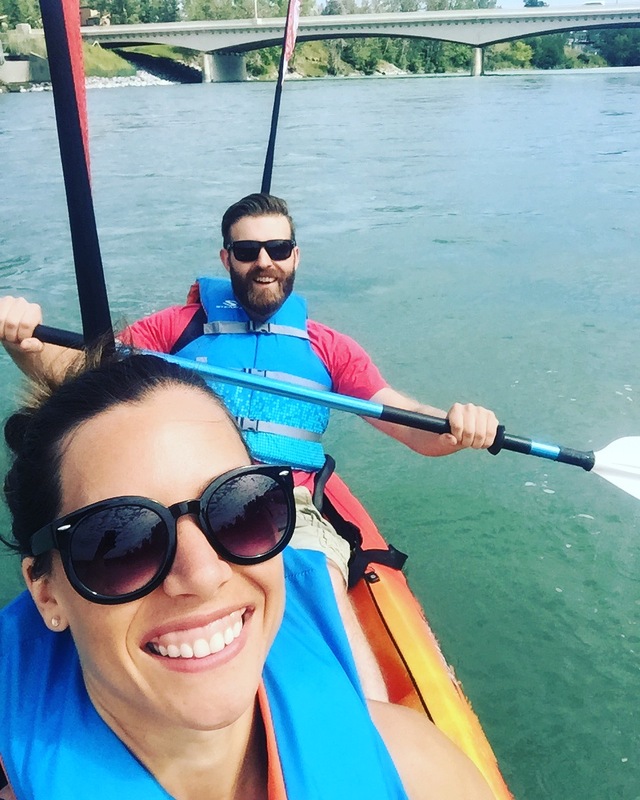 We signed the waiver, hopped into our double kayak, and began our mini adventure with our river tunes playing. 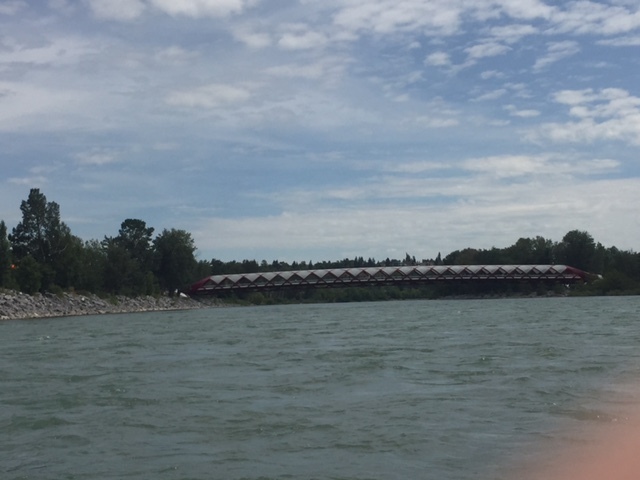 Around 1.5 hours later, we saw a friendly wave as we arrived at our destination stop in St. Patrick’s Island. 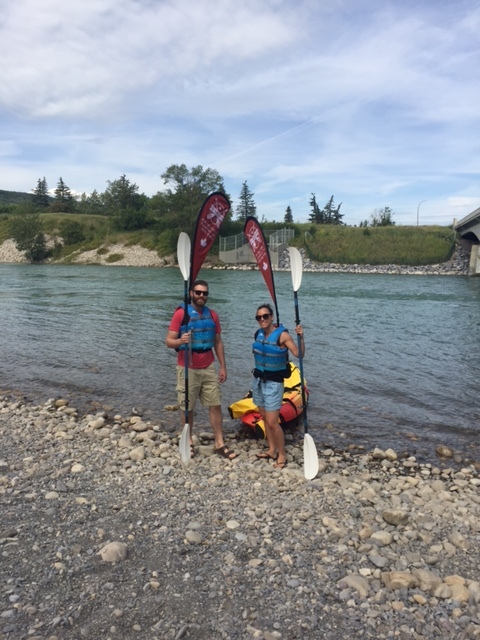 We were paddling hard to make the inlet pit stop, and before I knew what happened, we were flipped into the Bow River. I guess that’s what we get for complaining about the heat! Thank goodness for that dry sac! We were offered a towel to dry off, thanked them for the awesome ride, and walked through St. Patrick’s Island on route home. Often people feel like they need to escape from the city and reconnect with nature to refuel. I’m of course, guilty of this too. 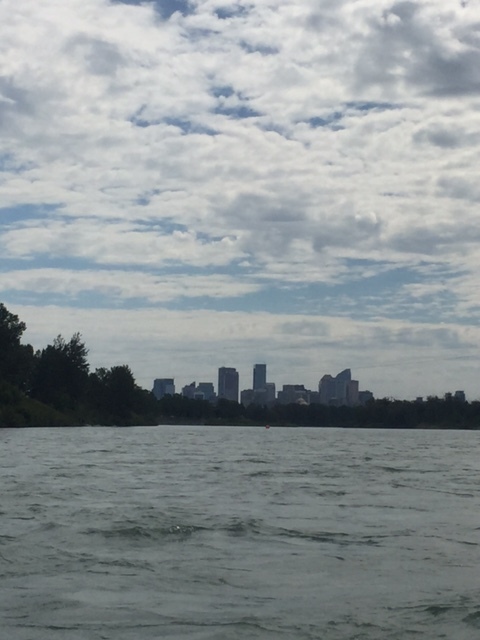 But on this day, not only did I do these without leaving the city, but my love and appreciation of Calgary grew even more. Paddling along, listening to the birds chirping and the waves rolling, I felt like I could have been anywhere but a city. 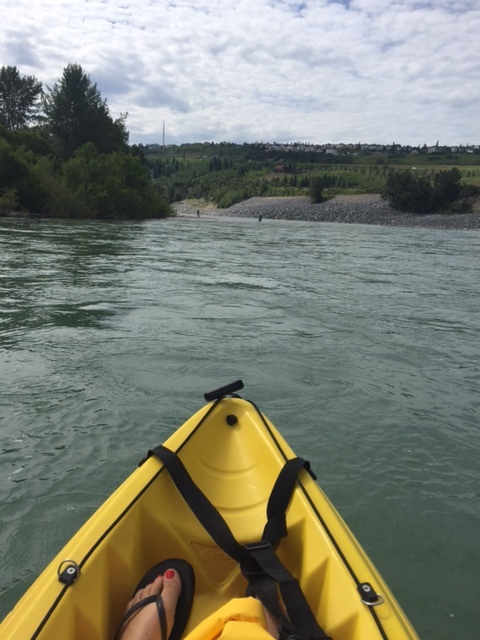 If you’re looking for a way to spend a morning or afternoon, or want to float down the river and don’t want to spend a fortune, I highly recommend checking out The Paddle Station. You’ll have an overwhelmingly amount of fun while supporting a wonderful local business!